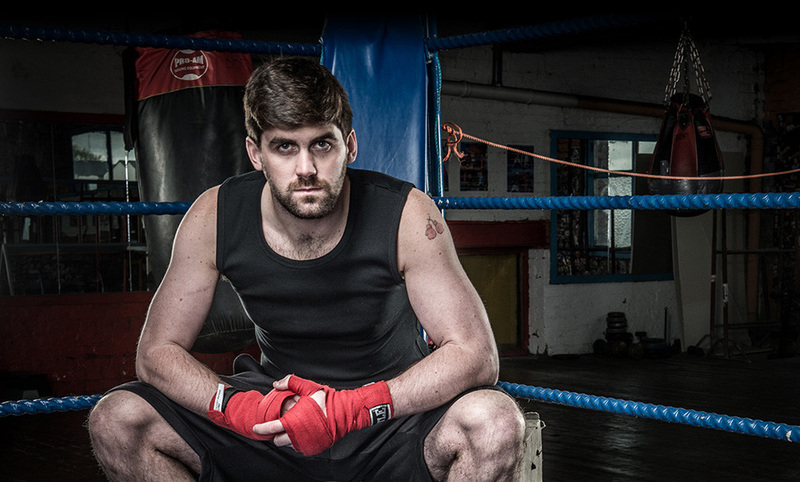 We recently announced a new addition to the Be An Athlete ambassador line-up; Liverpudlian boxer, Rocky Fielding. Back in June, the 27 year old became the WBC International Super Middle Weight Champion, and made it look like a walk in the park. As a sportsman, he’s determined, ambitious and humble, with a work ethic that’s second to none, so naturally he’s the perfect advocate for our brand. And with his sites already firmly onto the next challenge, it’s only a matter of time before Rocky becomes a household name. Today on the blog, we catch up with Rocky and find out what got him into boxing, who he’d most like to spar against in the ring, and just how he ended up with that nickname! So, you were nicknamed ‘Rocky’ from a young age. Was it somehow written in the stars that you’d become a boxer? I guess so! But I wanted to be a footballer first. I have to blame my Dad’s mate for that nickname but at least he picked a good one for boxing! How exactly did you get into boxing then, and how old were you? Age 9. My Dad started boxing so I went along with him and enjoyed it. So, what does it mean to you to ‘be an athlete?’ What parallels can you draw between yourself and BAA clothing? Being an athlete is a privilege – so many people would love to play sport as their job, so I know how lucky I am. Having said that, it doesn’t feel that lucky after some sessions!! For me, being a boxer involves dedication, a lot of hard work, passion for the sport and the belief that I can achieve what I want to achieve if I put that work in. Great answer. And to that effect, how did it feel to become the new WBC International Super Middle weight champion? Amazing! To be standing in the ring with the belt after a fight like that was fantastic. I think you could see by my reaction what it meant to me, although at least this time I didn’t fall through the ropes! I was absolutely buzzing after the fight as my opponent was a step-up, so it was important for me to rise to that and do it in style. The reaction of the crowd was amazing and their support really makes a difference. Congratulations. You didn’t look like you broke a sweat. Was it as easy as you made it look against a credible opponent like Brian Vera? No! It definitely wasn’t easy! The adrenalin was pumping before the fight but I knew I had trained hard in the gym and in sparring, and Oliver and I had watched him fight so I had a clear plan. Thankfully I managed to take that plan into the ring and got the win in the 2nd round. He’s a tough guy and has been in with some top opponents so I had to be on form to beat him. On that note, who would you describe as your dream fight - past or present - and why? Floyd Mayweather – fight in Vegas and a massive pay day!! And if you could challenge any non-boxer to a round in the ring, who would it be and why? Lee Trundle – he’s a good mate of mine and always tells me he could beat me so I could finally give him a knock around! On a separate note, we see you’ve recently returned from a well-deserved break in Ibiza – have you got a ‘work hard, play hard’ mentality? To a point! Ibiza isn’t really my normal holiday destination as I’m not really a big clubbing fan – I prefer time by the pool. It was my brother’s stag do so it was great to spend time with family and close friends, and have a chance to unwind – I still did a couple of runs while I was out there though! Good to hear. But 21 wins, without any draws or losses to your name – they're pretty amazing stats! Is there a fear that you’re going to break your winning streak every time you enter the ring? Does it add to the pressure? No - it's important I give myself the best preparation, with the support of my team and family, and we all believe I will win. I then take that belief into the ring when I get through the ropes. That said, I’m realistic to know that there may come a time when I lose my “0” as there aren’t many boxers like Mayweather who’ve fought over a long period and haven’t lost. If that does happen, I know I have good people around me who will support me and we will all go again! Having said that, losing that “0” isn’t in the plan!! Many thanks for your time today, Rocky. Lastly, what’s next for Rocky Fielding? Carry on the path to being a World Champion. I’ve risen to the challenge each time I’ve had the opportunity to step up, and have enjoyed being able to answer some critics along the way, so I’m looking forward to the big fights that will present themselves over the next 18 months! Got any other questions for Rocky? If so, jot them down in the comment box below and we'll be sure to get an answer from the big man himself. 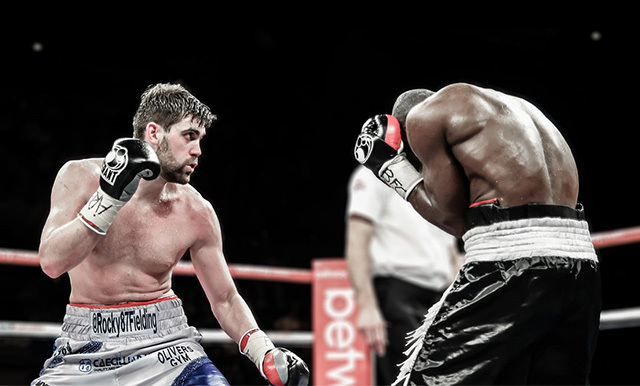 And in the meantime, why not check out the official Rocky Fielding page here!